My name is Steve Hughes. 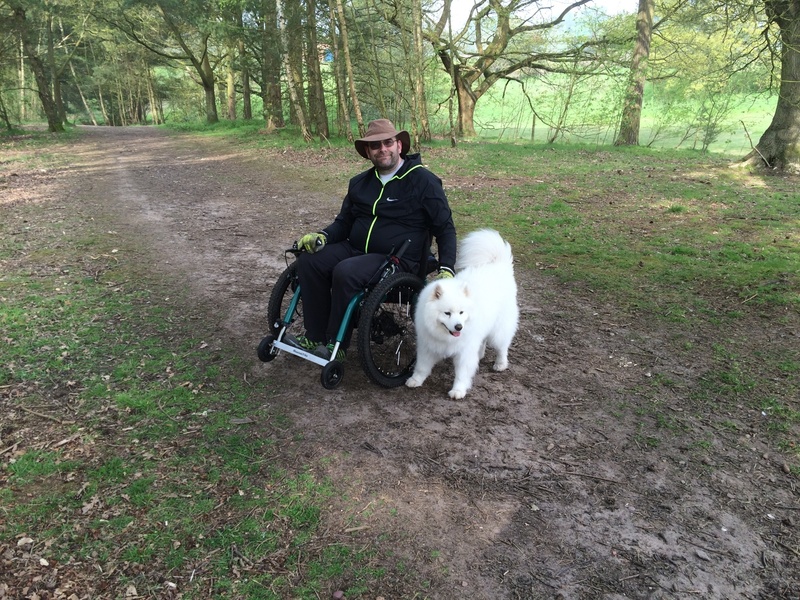 About 10 years ago through injury and illness I became a wheelchair user with an incomplete spinal injury at T9/T10. Having always enjoyed getting out into the countryside with my family I looked around for something that would allow that to continue and I found the Mountain Trike. I have had my Mountain Trike for about 8 years now and I would say it has changed my life. When I first got my Trike I had stopped going to the park never mine the woods. 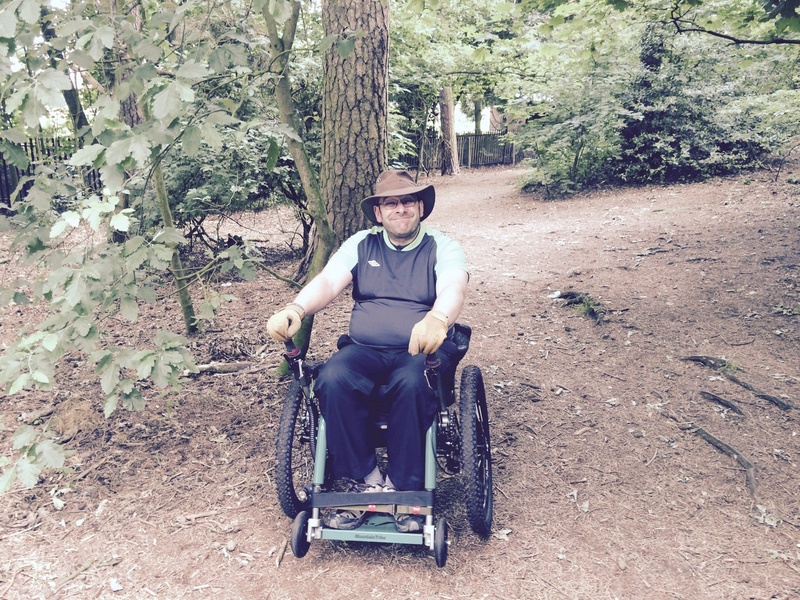 I’m lucky enough to live near Sherwood Forest, but access on my standard wheelchair was not good and having to stay on the hard standing ground was very frustrating, but the Trike arrived and things changed. At first I had to build up my strength and stamina to use the Trike to its full potential but this happens by actually getting out on the Trike. My strength, stamina and fitness improved rapidly and I was amazed at what can be achieved on a Mountain Trike. I was able to go into the forest, off the paths, through mud, over roots, all the places my children wanted to go - I was able to go on the dog walks and participate in all the family’s adventures. I started off small by just getting around the block but with practice and determination it was not long before I was doing miles never worrying what I would come across as the Mountain Trike seemed to just glide over it - thanks to its mountain bike suspension and hydraulic brakes. The same ability’s mean its great in town going over curbs, hills and rough pavements it just takes them in its stride and everyone wants to ask you about it, you are certainly never ignored on a Mountain Trike! About a year ago, Tim, the inventor of the Mountain Trike knowing I went out on my Trike just about every day, asked me if I’d be interested in doing a bit of testing for him on a new option for the Mountain Trike. I was happy to help so I got my first look at the new eTrike. What a game changer, he’s kept all the cross country ability and added power. As soon as I could I was out on this new eTrike and it didn’t disappoint. I found I could self propel as I had on my standard Trike making use of the unique drive system, then if I needed a little assistance a twist of the throttle and you're being powered forward. This is the genius thing, you can use no power, a combination of power and the drive or all power. I’ve used this test Trike in rain, snow, mud and even through floods and it just keeps going! I’ve tried to find hills to stop it but when you combine the power of the drive with the electric motor it is amazing just what it can cope with. I then tried it out in the scooter mode roll, so around the supermarket, in and out of the shops and I could do as much or as little pushing as I wanted and if there was a curb or a step into the shop no problem it just popped over them. Over this last 6 months my condition has worsened this has meant me losing some strength and gaining some pain. I’ve needed that little bit more help when out with the dog or on a walk with my wife and the eTrike has taken up this challenge. I make a point of trying to walk the dog every afternoon and now if I’m having a bad day the motor takes me around and on a good day its all me, but most of the time its a combination of the motor and me. This flexibility gives me the confidences to go further and push harder knowing I have the eTrike motor to fall back on. On the practical side the eTrike still fits in my car, the wheels and drive come off the same as the standard Trike. I really don’t think I could do with out it now - all the advantages of the old Trike - but on steroids and I’m told it’s cool too - which it is! 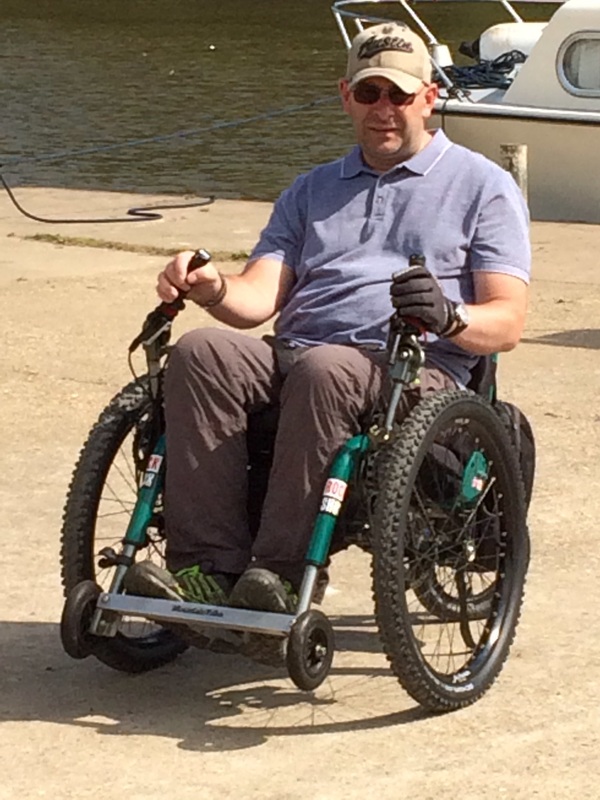 As ever, Tim was thinking of his customers during this new development and it is genius that the electric assist motors can be purchased as a separate kit and back-fitted to all standard Trikes - which I imagine will be of interest to many! Thank you Tim for helping me to be able to continue to enjoy the outdoors!